MAN OF MANY TALENTS Robin Williams' lesser-known films were some of his best. We in Northern California took the death of Robin Williams personally and keenly. However presumptuous it may have to believe it, we felt he was one of us. As film critic David Thomson put it, "The 'Robin Williams picture' had become a warning signal," but we knew why and we made excuses. We considered it a NorCal/SoCal thing, and chalked up his lucrative, terrible films to the stupidity of the Industry. Hollywood sometimes wrought the perfect part for him, as with the motor-mouthed Genie in Aladdin, that happy moment when Disney made its peace with Tex Avery. Northern Californian directors, however, made some hard-to-watch Williams films too (see Francis Ford Coppola's Jack). 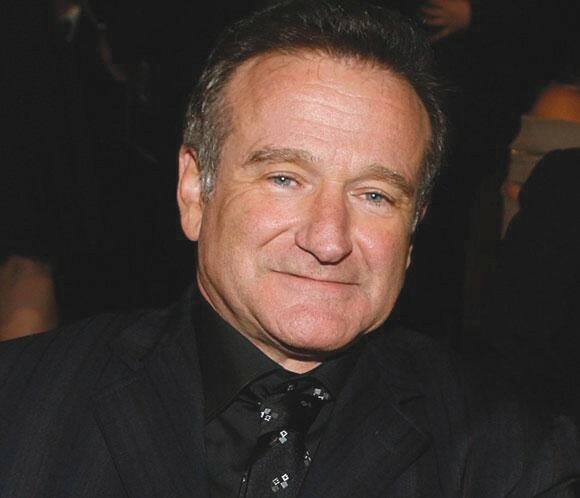 Barry Levinson, sometimes of Marin, directed Williams in the disappointing hit Good Morning, Vietnam, a biopic travesty of an interesting career, which is what could also be said about Patch Adams. Down south, they saw Williams as the eternal boy. They wanted a sequel to Mrs. Doubtfire. Considering Williams' film career, one recalls Ian McKellan's line in Gods and Monsters about how if you give a farmer a giraffe, the first thing he'll do is hitch it to a plow. Let's remember the less-seen work. It's too mean to be a really popular film, but World's Greatest Dad (2009) may well be Williams' best—though not as a vehicle for his comedy per se. This acidic no-budget satire by Bobcat Goldthwait might be tough to watch today, given the subject of suicide. Williams' Lance is a teacher on the flipside of the Dead Poets Society milieu: spineless, prolix, too-nice. His class, sparsely attended by bored high school plagiarists, only comes alive after Williams' ghastly son perishes. After death, the boy is wrongly recalled as if he were Anne Frank and Kurt Cobain rolled into one. You get so much more from Williams as an isolated character squirming than as the center of a circle of laughing listeners, seen in reaction shots. The late Harold Ramis' 1986 Club Paradise is a rowdy semi-musical with Jimmy Cliff, and it deserves some of the audience Ramis' Caddyshack has. Williams is a chummy but venal Caribbean hotel manager. (Responding to local aristo Peter O'Toole's inquiry if there'll be many girls at the place: "If you've got the pearls, we've got the swine.") It's the closest thing to an SCTV reunion ever captured onscreen: Andrea Martin, Eugene Levy, Rick Moranis and Joe Flaherty, all of sacred memory, are together again as the awkward tourists. In the savory Cadillac Man, Williams plays a creep of a car salesman held hostage by one of the many people he burned (in this case Tim Robbins). Williams honored his time in Juilliard as an appropriately ducky Osric in Kenneth Branagh's Hamlet: a meek little mustached gentleman who fails to realize that life in Elsinore, like life everywhere, is a comedy with a bloody finish. In The Best of Times—scripted by Bull Durham's Ron Shelton—Williams is a small-town sap who lost the Bakersfield-Taft football game and was never e allowed to forget the fatal fumble. He was convincingly evil in Insomnia and One Hour Photo, but really frightening in 1996's Secret Agent, Christopher Hampton's Conrad adaptation about the downfall of an agent provocateur. Williams, uncredited, was a staring assassin, always carrying a test-tube sized bomb in his pocket, ready for use. He was a killer, and thus a comedian by other means. See how good Williams was in that film's last minutes, and you can understand the loss we've suffered.